Deelnemers aan de workshop Welkom in draagland zullen een introductie krijgen tot het veilig en ergonomisch dragen van hun kindje. Daarnaast wordt er zowel uitleg gegeven als gedemonstreerd hoe de verschillende draagmethoden werken en wat er allemaal op de markt beschikbaar is. Draagervaring is niet nodig. ‘Welkom in draagland’ is an introductory workshop about the safe and ergonomic ways to carry your child. The use of ergonomic slings and baby carriers ensures that our baby feels and is safe and secure, but also gives us the freedom to undertake other activities. Wearing a sling or carrier is super comfortable and also very practical. Workshop participants will get an introduction to the safe and ergonomic way to carry their child. 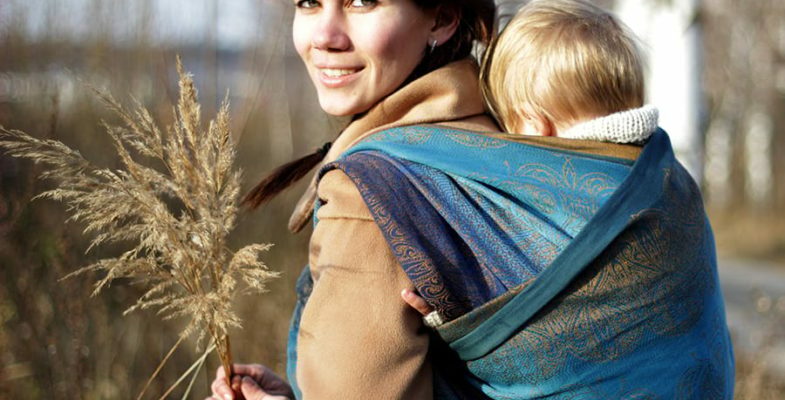 In addition to the explanation, a demonstration of the different methods of baby wearing will be given and a discussion about the products in the market today. Baby wearing experience is not necessary to join the workshop. ‘Meet and greet’ introduction round. Why wear your baby? – short summary of the benefits of wearing your baby. Explanation of what is ergonomically correct in wearing your baby and its importance for the development of your baby / child. A demonstration of the different wearing methods. Practical exercise- choose a carrier and try it out directly on the real life dolls we have present in the studio. Registrations are open. To book your spot (with your partner) please use this link to momoyoga. If after the workshop you need to practice again, or you would like a personal consultation? This can be organized in the studio. Discuss it with the baby wearing consultants that are present. Price: 45 euro (for you and your partner together).